Interesting in submitting to RSC Advances? You can submit online today, or email us with your ideas and suggestions. We look forward to your comments! 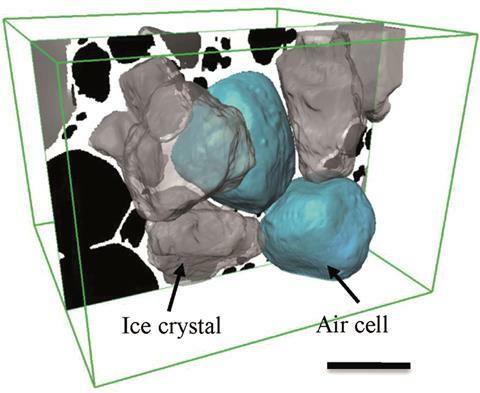 Researchers from the UK have developed a new 3D x-ray tomography (XRT) method to visualise the effects of changing temperature on the microstructure of ice cream. Ice cream is a mixture of milk, fats, sugars, proteins, emulsifiers, stabilisers and flavours that are aerated and then frozen to form a soft solid comprising about 30% ice, 50% air, and 5–15% fat droplets suspended in a sugar solution. Its quality depends on the size of its ice crystals and air bubbles: smaller crystals and bubbles make it smoother and creamier. And since this complex colloid is unstable above –30˚C, its microstructure will change during shipping and storage (domestic freezers are usually at around –18˚C), which will affect its taste and texture. Interested? The full article can be read in Chemistry World. Can this quantum sized double-edged sword help diagnose and treat breast cancer? In a study led by Ko and colleagues at the Department of Dental Materials, School of Dentistry, Kyung Hee University, Korea, researchers armed graphene QDs with two therapeutic moieties: a HER-targeting antibody meant to help the therapeutic QDs find HER2-expressing breast cancer cells; and doxorubicin (DOX) – a chemotherapeutic drug used widely in treating breast cancer. Consistent with previously established criteria (size, shape etc.) for drug carriers, the current study found that the estimated size of 222 nm makes the nanocarriers good candidates for further development toward diagnostic and therapeutic applications. Further, the nanocarriers had excitation and emission wavelengths of 370 nm and 450 nm respectively, making them glow in the ultraviolet range and as a result, optimal for medical imaging applications. The research team showed through chemical binding analysis that anti-HER antibodies were firmly bound to the QDs, and that the QDs were hydrophilic. The team conducted thermal stability studies and showed that the nanocarriers were stable at temperature ranges much greater than the physiological body temperature range. The study also analyzed whether the therapeutic nanocarriers were able to specifically target and enter breast cancer cells, release the DOX payload under specific pH and temperature conditions, and subsequently induce breast cancer cell death. Using a HER2-expressing breast cancer cell line, the team showed that the nanocarriers could kill cells in a dose dependent manner. A temperature of 37oC and pH of 5.5 were optimal for DOX release. Results in fluorescent microscopy studies suggested that DOX was released immediately after the nanocarriers entered HER2-expressing cells. This study proposes that graphene-based QDs, when armed with anti-HER antibodies and DOX, have great potential for translation. In addition, with biomarker-based treatment decisions entering clinical practice in oncology settings, QD-based therapeutic nanocarriers are likely to have a notable impact on cancer therapy. Monoclonal antibodies (mAbs) are antibodies made by clones of immune cells derived from a common parent cell. These synthesized molecules have achieved widespread clinical utility in the treatment of cancer owing to their high degree of specificity to proteins present on the surface of cancer cells, lower toxicity compared to other classes of targeted therapies, and improved treatment outcomes among patients with advanced stage cancer. Non-Hodgkin Lymphoma (NHL) is a type of cancer where a subtype of immune cells called B-cells exhibit unrestrained cell division. The abnormal B-cell, now called a malignant B-cell, produces more abnormal cells like it. CD20 is a protein present on the surface of malignant B-cells. Rituximab (RTX) is used to treat patients with NHL because it can bind CD20 and consequently trigger cell death. To address the growing need for CD20 targeted therapeutics, Cong and colleagues at the Department of Laboratory Diagnosis/Thoracic Surgery, Changhai Hospital Affiliated to The Second Military Medical University, Shanghai, China, developed molecules called aptamers that can bind to CD20 with greater specificity and strength compared to RTX. Aptamers are molecules made up of single stranded DNA that form complex 3D structures and can bind to target proteins, analogous to mAbs. The team used a method called cell-SELEX to retrieve an enriched pool of highly specific CD20-binding aptamers starting with their initial aptamer library. The aptamers used in the study were obtained after 15 rounds of selective refinement. The study finds that Anti-CD20 DNA Aptamer (ACDA) can bind surface CD20 in NHL cells with greater strength compared to RTX. In the past, experiments have shown that cross-linking surface CD20 with mAbs (i.e. extracellular cross-linking) is a potent method of inducing cell death. A major limitation is that extracellular cross-linking cannot be realized in vivo. Cong et al. develop a method to link two ACDA molecules with polyethyleneimine (PEI) linker’, forming a molecular bridge – the P-ACDA – capable of spanning the distance between and cross-linking two CD20 molecules. The study finds that P-ACDA led to substantially more cell death compared to ACDA. Aptamers as a novel class of targeted therapies are expected to outperform mAbs because they do not evoke the body’s endogenous immune response (i.e. less immunogenic) and therefore in good compliance with current FDA recommendations. They are also easier to store since they are stable across a broad temperature range ,less expensive to manufacture, show consistency between production batches and can bind to both protein as well as non-protein targets. For these reasons, the clinical relevance of aptamers in treating HNL and potentially other cancers must be watched closely in the years to come. RSC Advances gives a warm welcome to the following new Editorial board members: Giridhar Madras, Heloise Pastore and Manuel Minas de Piedade. 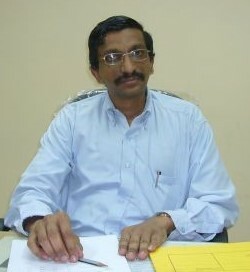 Giridhar Madras has been a Full Professor in the Chemical Engineering Department at the Indian Institute of Science, India since 2007 and has published more than 450 international journal articles, which have more than 13000 citations and is among the most cited engineering scientists in India with a h-index of 55. His research interests are in the area of reaction engineering applied to polymers, supercritical fluids, and catalysis. 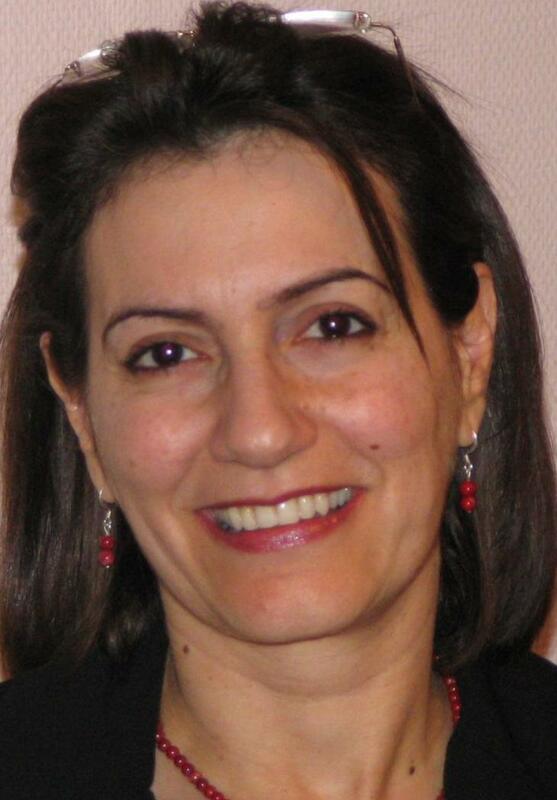 Heloise Pastore is currently a Full Professor at the Chemistry Institute of the State University of Campinas in Brazil and has research interests and experience in Molecular sieves, isomorphic substitution, zeolites, mcm-41 and supramolecular arrangements. Professor Pastore is responsible for the invention of two new families of molecular sieves called CAL and UEC. Manuel Minas da Piedade‘s research interests are mainly focused on the energetics of molecules (e.g. fullerenes, PAHs, ionic liquids), crystals (nucleation, polymorphism, crystal engineering), and, very recently, also living cells. He is currently based at the Faculty of Sciences, University of Lisbon, Portugal as an Associate Professor of Chemistry and Biochemistry. Written by James Sudlow for Chemistry World. 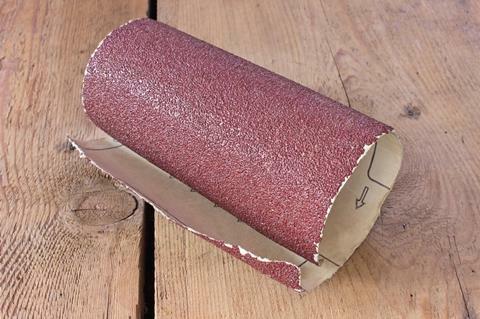 Researchers in South Korea have developed a method to turn common sandpaper into an electrode that generates current from friction, promising a way to power portable devices with ambient mechanical energy. Wirelessly powering small devices by harvesting energy from the environment could eliminate the need to ever recharge them. This is especially useful for embedded sensors as they will often be located in inaccessible places without a power supply, for example, on the inside of machines or the side of buildings. Interested? Read the full article in Chemistry World. Hair and nails grow back, but heart valves cannot regenerate naturally. This fact is being challenged by a team of scientists who have developed a method that could someday regrow defective heart valves. Valvular interstitial cells (VIC), the most prevalent cells in the heart valve, are developmentally locked in a state of quiescence, preventing their division within the body. In people suffering from inflammation-induced or inborn heart valve defects, damaged valves have to be replaced surgically with either mechanical (made with artificial polymers) or bioprosthetic (made with heart tissue) valves. People with artificial valves are required to take blood thinners for extended periods and make significant changes to their lifestyle. In addition, artificial valves in younger patients do not grow and remodel with time, causing additional complications during adulthood. These issues are further compounded by an estimate suggesting that over 850,000 patients will require heart valve transplants by the year 2050. Soumen Jana and colleagues at the Division of Cardiovascular Diseases, Mayo Clinic, USA approached this problem from a different angle. Relying on studies showing that VICs can be isolated from heart valves and grown in a laboratory setting, the team developed a nanofibrous membrane-based scaffolding structure to support the growth of VICs. Similar to the cross-cross patterns formed by ropes in a hammock, their polycaprolactone polymer scaffold comprises randomly oriented nanofibers (~457 nm in diameter) to form a cradle within which VICs from defective valves can be grown. Within the body, VICs are arranged as monolayer sheets, forming a veneer on the outer surfaces of heart valve leaflets. They form this complex structure by depositing collagen – a cellular cementing protein that allows cells to interlock like a cobblestone path to form a sheet-like structure. The researchers reasoned that by artificially simulating conditions ideal for VIC growth within the body, they could create VIC sheets in the laboratory and examine their similarity to naturally occurring VICs in heart valve leaflets. The study found that VICs from healthy valves showed greater levels of cell division on the scaffold compared to VICs from defective valves. Interestingly, the scaffold induced collagen deposition from VICs obtained from both healthy and defective valves. The study also looked at a series of genes and proteins important in VIC growth. Patient derived VICs grown on nanofibrous scaffolds deposited appropriate amounts of cementing proteins necessary for leaflet regeneration. Clinical trials aimed at regenerating heart valves with chemical drugs and DNA modifying methods are under way. In their study, Jana and colleagues suggest VIC regeneration as a novel idea. They also engineer a scaffold that supports VIC growth, demonstrate its practicality and highlight its ability to be translated into a clinically impactful technology. ORCID provides an identifier for individuals to use with their name as they engage in research, scholarship and innovation activities, ensuring authors gain full credit for their work. Today, we signed their open letter, along with ACS Publications, committing to unambiguous identification of all authors that publish in our journals. The official press release can be read here. Scientists in the area of cancer drug development constantly find ways to target cancer’s Achilles heel. Bcr-Abl is a protein expressed in 95% of all Chronic Myelogenous Leukemia (a type of blood cancer) cases. It remains activated (i.e. switched ON) and instructs cancer cells to divide indefinitely. Bcr-Abl has remained an attractive target for therapy. Yet another attractive therapeutic target is Histone Deacetylase 1 (HDAC1) – a protein known to control cell survival via its ability to influence the turning on and turning off of certain genes. Previous studies show that the drugs Dasatinib and MS-275 efficiently inhibit the cancer promoting activities of Bcr-Abl and HDAC1 respectively. Clinical trials also suggest that these drugs, when used independently in separate studies, can be used to treat a variety of solid as well as blood-borne cancers. Bcr-Abl and HDAC1 are components of distinct cellular wiring systems, referred to as signalling pathways, which sustain cell survival and division. Single agent drugs, or drugs that stifle a single cancer-promoting pathway, weed out most cancer cells but also set the stage for drug-resistant cells. Reports suggest that both Dasatinib and MS-275 are associated with cancer drug resistance. Multi-target inhibitors are a new and evolving class of cancer drugs that can simultaneously inhibit at least two signalling pathways. These compounds have emerged as a potential solution in circumventing cancer drug resistance. Chen and colleagues at the Department of Organic Chemistry, School of Science, China Pharmaceutical University, China, designed and produced a series of hybrid drug molecules which combine the attributes of the HDAC inhibitor MS-275 with the Bcr-Abl inhibitor Dasatinib. To determine the effect of the hybrid drugs on cancer cell survival, the research team tested the drug’s ability to halt the growth of three cell types exhibiting features of leukemia, kidney cancer and prostate cancer respectively. They found that all drugs in the series were toxic to cancer cells, with leukemia and kidney cancer cells showing the greatest degree of sensitivity to the hybrid drugs. To better understand how the hybrid drugs interacted with the Bcr-Abl and HDAC1 active sites (i.e. the ON switch), the team relied on computer-generated three-dimensional models of the hybrid drugs, Bcr-Abl and HDAC1 proteins. Using a method similar to finding the right key for a lock, a computer program found that a hybrid compound termed 6a, which happened to be the most potent compound in the series, fit most snugly into both Bcr-Abl and HDAC1 active sites. In theory, 6a would prevent both Bcr-Abl and HDAC1 from becoming activated (i.e they remain switched OFF). On the basis of these observations, this study strengthens the paradigm that chemically melding two cancer drugs to form a novel single molecule may prove to be an effective clinical strategy for anticancer treatment. On a broader scale, this is one among many studies advocating for the use of multi-target agents in cancer treatment, highlighting an imminent upsurge in single molecule combination therapies. A very warm welcome to Professor Karen Faulds! Please join us in extending a very warm welcome to Professor Karen Faulds, as she joins the RSC Advances team as an Editorial Board member! 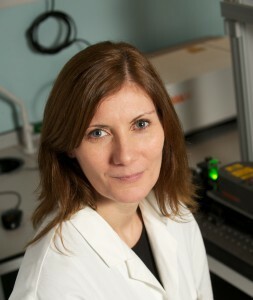 Karen is a Professor in the Department of Pure and Applied Chemistry at the University of Strathclyde and an expert in the development of surface enhanced Raman scattering (SERS) and other spectroscopic techniques for novel analytical detection strategies. She is the recipient of the Nexxus Young Life Scientist of the Year award (2009), the RSC Joseph Black Award (2013) and the Craver Award from the Coblentz Society (2016). In 2011 was elected to the Royal Society of Edinburgh Young Academy of Scotland (YAS) and was elected Fellow of the Royal Society of Chemistry in 2012. She is the Strathclyde Director of the EPSRC and MRC funded Centre for Doctoral Training in Optical Medical Imaging, OPTIMA and is the current Chair of the Infrared and Raman Discussion Group (IRDG). Karen Faulds and Matthew Baker have recently guest edited a Chemical Society Reviews themed issue on Fundamental Developments in Clinical Infrared and Raman Spectroscopy.